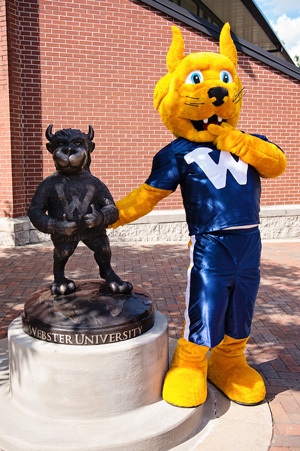 Webster University's school mascot, the Gorlok, is a mythical creature that was designed in part by Webster students and staff through a school contest in 1984, derived from the combination of two streets that intersect in the heart of "Old Webster," Gore and Lockwood avenues. The contest’s winning entry was a photograph of a furry creature holding a hand-held pump sprayer. This photo was turned over to a professional designer to create the "cartoon" version of the Gorlok featuring the paws of a speeding cheetah, the horns of a fierce buffalo and the face of a dependable St. Bernard. 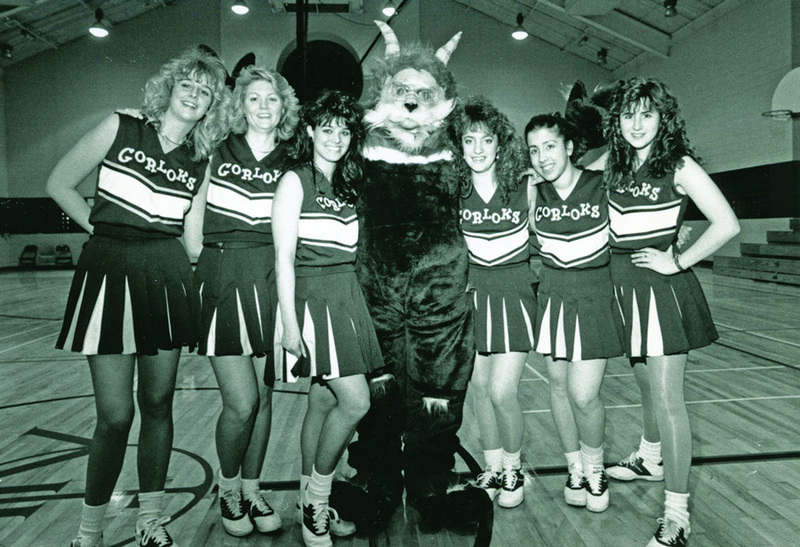 The first life-size costume of the Gorlok was completed in 1988, and made its debut at the Feb. 9, 1988, men's basketball game between Webster University and St. Louis Christian College. That first Gorlok stood 6'3" and was covered in blue fur. It was designed and created by Webster alumna Jana Park-Rogers '87 and Teri McConnell Tavares, who was also the creator of Fredbird, the St. Louis Cardinals mascot. The original Gorlok mascot costume body was made from blue fur, as seen at its debut in February 1988. "After graduating with my degree in costume design, I worked for The Rep [Repertory Theatre of St. Louis] in the props department and as costume designer for the touring Children’s Theatre productions. Teri was working for The Rep as well, as the head of crafts at the time. The beginning of the costume was to take the illustration of the Gorlok mascot and interpret the characteristic of a 2-D drawing into a 3-D character. The request started with an illustration. We were asked to make the creature more friendly, but keep the qualities of strength and attitude. Using the guiding characteristics of the friendly St. Bernard dog face with fierce buffalo horns, my partner Terri McConnell interpreted the face. Using paper mache on a hockey helmet, she sculpted the first Gorlok. The school approved the sculpt of the face and Terri painted it. Foam and fur completed the head of this new beast. The body of the Gorlok was to have a muscular feel. A muscle suit was created from polyester batting and a pair of cotton long underwear. The blue and yellow fur was draped over the muscle suit and constructed with a one-piece design. Shoes and gloves with fur completed the look. The first person to wear this suit came to the fittings and gave us input for comfort and movement. This costume was going to be hot, but the muscle layer was made to be washable and the fur would be hand washed occasionally. It was so fun making it, and Teri and I had a great time with the project." Today's Gorlok mascot looks a bit different from its 1988 ancestor, but some elements of the cheetah, buffalo and St. Bernard remain. A golden fur-covered creature sporting a blue T-shirt emblazoned with a white "W," the Gorlok makes appearance at athletic games, community events and has even traveled the world to Webster's global campuses. Festivities for Conservatory alumni are planned throughout the weekend, including special recognition of Sargent's many contributions to both the Conservatory and the University. The public is invited to join with alumni for Saturday evening's Conservatory Celebration, and the Conservatory production of Brigadoon on Friday evening, and Saturday and Sunday afternoons. Mitchell will return to campus and emcee. 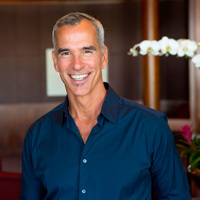 Tony Award-winning choreographer and director Jerry Mitchell will serve as emcee for a festive evening of performance and heartfelt sentiment, shared by Conservatory faculty and alumni from various decades and disciplines. Performances and tributes for the Saturday evening celebration are still being scheduled. The players will be updated leading up to the event. General admission tickets are $25. Click here to purchase tickets.